The Exmoor Open Water Swim – one of the most prestigious events of its type in the South West – now has national recognition, with elite entrants in the 6km race arriving from as far afield as Scotland. The water temperature was a chilly 16 degrees, only a few degrees higher than the air temperature. 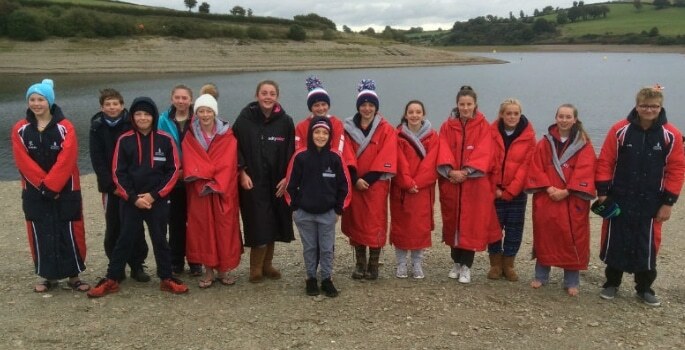 Pupils from Taunton School competed against over 700 entrants in 2km and 4km events. 13 year old Ollie Heard won the 4K men’s category; 16 year old Georgia Williams won female youth (16-20yrs) and was fourth female overall; and Josh Green, aged 13, came second in the U16 category. The 2km Ladies category was dominated by Senior School pupils Skye McLaughlin (age 13), Skyla Coate (15) and Hetty James (14) coming first, second and third respectively. There was success in younger categories, too, whole former pupil – and now honorary member – Mr Lawton won the Supervets (50+) category.